Rowena Santos Aquino's video essay "Antonioni's Walkabout" looks at how the formal act of walking emotes both practical and big postwar experiences in three of Michaelango Antonioni's films: L'Avventura (1960), La Notte (1961) and L'Eclisse (1962). Abandoning the traditional academic technique of using voiceover narration to make its points clear, Aquino subtly fades into sentence fragments at the bottom of the screen, giving the viewer enough time to process the moving image as well as understand the given footnote. 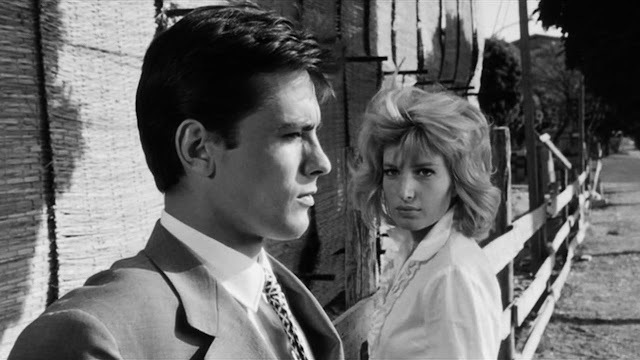 It's an appropriate strategy and one that lingers in the mind, much like Antonioni's films do. In short, there's a staying power to simply suggesting an idea.